Jeannie is the writer and executive producer of The Jim Gaffigan Show which received critical acclaim for its two seasons on TVLand. 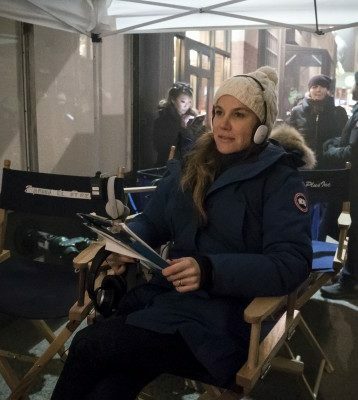 She co-wrote and executive produced Jim Gaffigan’s comedy specials, Beyond the Pale (2006), King Baby (2009), Mr. Universe (2012), Obsessed (2014), Cinco (2017). These specials achieved platinum sales and three Grammy nominations. Jeannie is known for her creative films at the top of the comedy specials. The lastest special Jeannie co-wrote, executive produced and directed is Noble Ape (Released July 2018). Jeannie was the story editor on the two New York Times Best Sellers, Dad is Fat and Food: A Love Story. Jeannie lives with her husband and five children in New York City.